Update May 11: Latest version of Browsers benchmarked again. Scroll to the bottom of this post to see recent test result. The Browser war is getting really hot. Just a few days ago Microsoft released Internet Explorer 9 and Mozilla Firefox 4 is out of beta now.Internet Explorer 9 received positive response and Firefox 4 got more than 7 million downloads within 24 hours. Google Chrome and Opera browsers are also here.The question is which browser you should use?The choice is not easy as not all browser has same features. So I’ve decided to run some benchmarks to find out which browser performs well on my system. How the benchmarks were performed? These benchmarks were performed on a laptop powered by i7 Q720, 6 GB DDR3 RAM, ATI 5650 1 GB graphics. All background tasks were closed and only one tab was opened in the browser. The Stable version of Internet Explorer 9, Firefox 4, Opera 11 and Google Chrome 10 used. The result is really surprising as Mozilla Firefox 4 performed worst and it scored only 4230 points in Peacekeeper. In Acid3 test Firefox 4 scored 97 out of 100 points. Microsoft Internet Explorer 9 performed little bit better than Firefox 4. It managed to beat Firefox 4 by 636 points and scored 4866 points in Peacekeeper. Opera 11 browser performed surprisingly well in Peacekeeper.Opera 11 got 7411 points and beat Internet Explorer 9 and Firefox 4 by a long margin. In Acid3 test Opera is the winner. It scored 100 out of 100 points. Google Chrome 10 scored 8092 points and it is the winner. It defeated Firefox 4 by 3862 points and Internet Explorer 9 by 3226 points. Three difference between Opera 11 and Google Chrome 10 is very less only 671 points. Google Chrome 10 got 97/100 in Acid3 test. I’ve decided to run the benchmarks again with the latest version of the browsers as performance changes with the browser version. In this time I’ve tested Firefox 4.01,Google Chrome 11.0.696.65,Opera 11.10 and Internet Explorer 9. From the Peacekeeper benchmark result you can see that Google Chrome 11 scores best and beats Opera . Opera 11.10 gets a better score than previous Opera 11.01 which got 7421 points in last test.Internet Explorer is in 3rd position,it got 4902 points.Latest Firefox 4.0.1 gets less points than Firefox 4.0 and it is in last position.It will be hard for all Firefox fans. 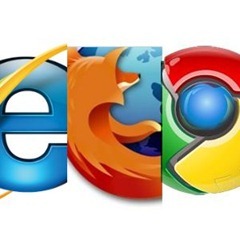 What is your favorite browser? Share your view here. I use Opera as my primary browser.I love Chrome too 🙂 .